Join us for a fun session of bike-craft on Friday afternoon as we adorn bikes ready for a weekend of fun rides! All supplies are provided except a child and a bike! The drift trike race on Friday evening is open to all ages. We have a kids size trike for our smaller competitors. Although kids can't compete in this they'll have a blast watching Mom and Dad try to hurl a huffy as far as they can. Come enjoy this oasis destination! We reserve this secret spot for you for the entire Memorial Day weekend. Sit on a beach, play volley ball, go swimming or just chill in a hammock overlooking the lake, Our support vehicle will take your bags, food and gear our there and pick it up at the end of the day. See schedule for details. 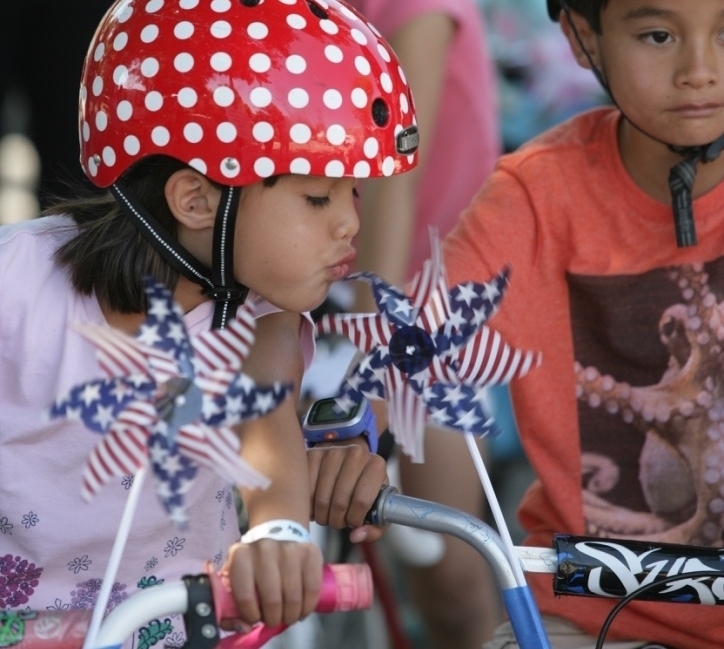 Get your face painted with wild stripes, a tiger pattern or whatever you choose before the bike roadeo. Bring the kids over to our fun bike roadeo, packed with all sorts of obstacles and challenges that will both entertain them and teach them bike handling skills. Complete as many miles as you can over the weekend. The more miles you ride the more points you get. Bonus points for taking part in the Poker Ride, the Star Farms Ride or the Bike Roadeo. Grab your s'mores stick and head over to our s'mores station for some serious roasting and smushing. All supplies provided.